This restaurant is permanently closed. 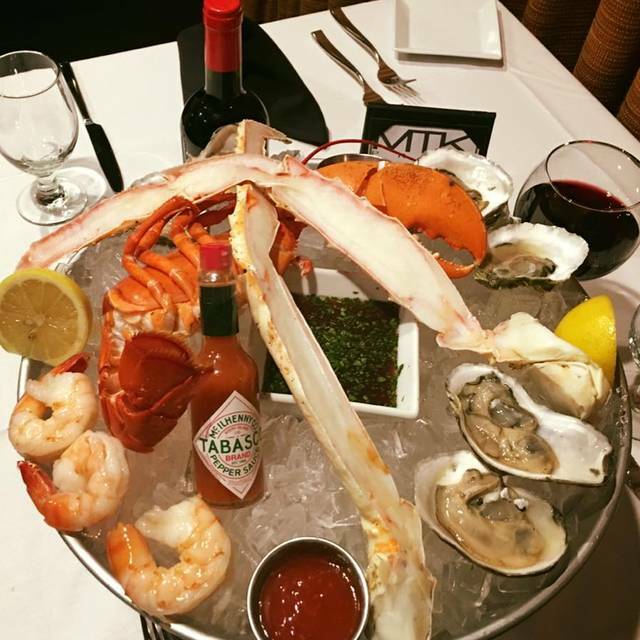 Come visit MTK Prime! 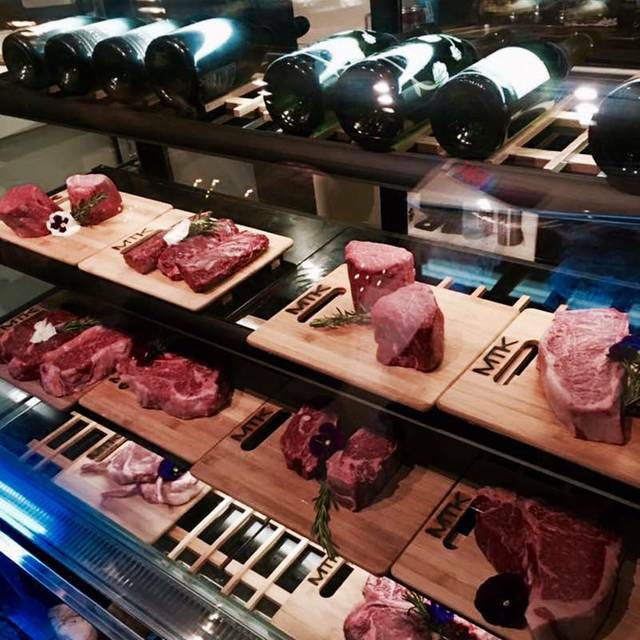 A spectacular new steakhouse striving to be the best new upscale dining experience in the city. 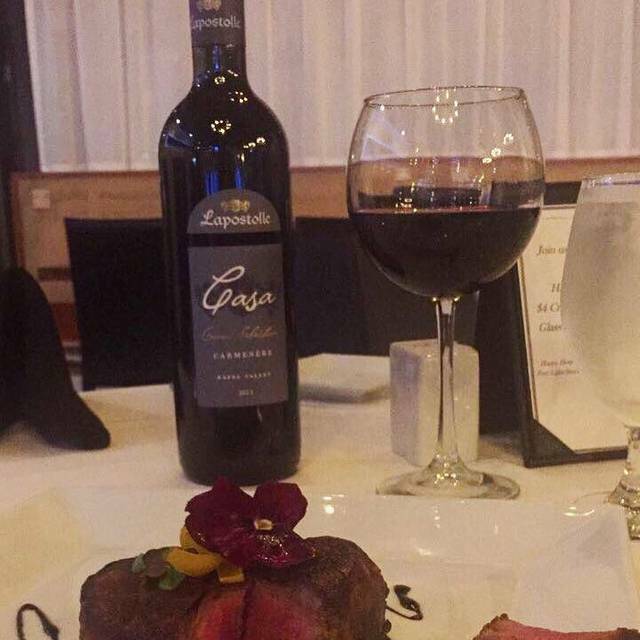 Serving all beautifully Prime Meats and fresh seafood in our Modern Upscale facility, we welcome you to our humble abode located inside the Whyndam Hotel at 5195 Main st in Williamsville. Breakfast 6:30-1030am Sunday to Friday, Saturday and Sunday at 7:00am-1030 am. Small Plates and Appetizers "Flying Saucers"
Mkt prime is not in business as of two weeks ago. At the time of this reservation we thought we were making a reservation with mkt prime. Upon string there we were told they were recently bough out by Hooked. We had planned on using our 100.00 gift certificate but the manager would not accept it. The menu was a very limited paper menu. We left there and will not recommend this restaurant to others. The meal was excellent. The service was very nice. Worth the sit and eat. The food was fine. The service friendly but not great. Overall it was “fine”. Unfortunately the prices dictate higher expectations than fine. The ambiance was great. The service was outstanding. Thank you joe. And the meal was awesome. Every person who worked there was very professional. The service was great but unfortunately the food was poor. Everything was cold, including the filet, salmon was over salted. The menu did not include descriptions so we ordered unnecessary sides. We ate here when it opened and it was incredible. They mentioned and apologized as we came in that it was transitioning. Service was great. Overall the restaurant looked great. Our waiter was excellent. The salad was amazing. 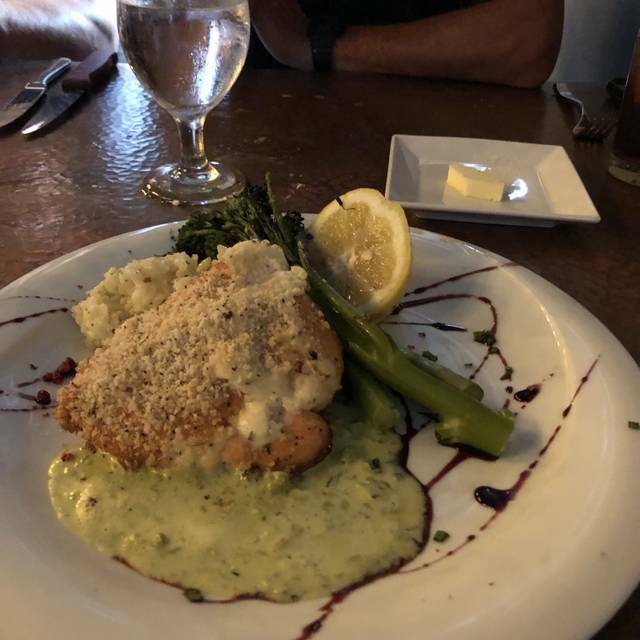 My husband ordered the salmon and enjoyed it. I ordered the burger and frankly it was overdone and the bun was bad. Would not recommend the burger. I’ve eaten here before and the food was excellent. Awfully pricey to frequent regularly. This was my third time here. The first two were very good! This last time , the food took a long time coming and it was only lukewarm. The restaurant was merely okay. 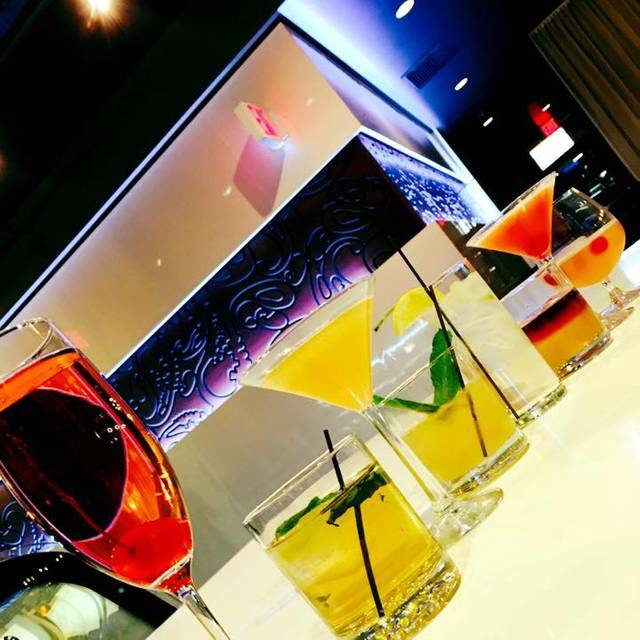 Was there for the New Year's Eve special - $100 for 3 courses plus dessert. The salads were overdressed, even after asking for light dressing. They did taste good, though. 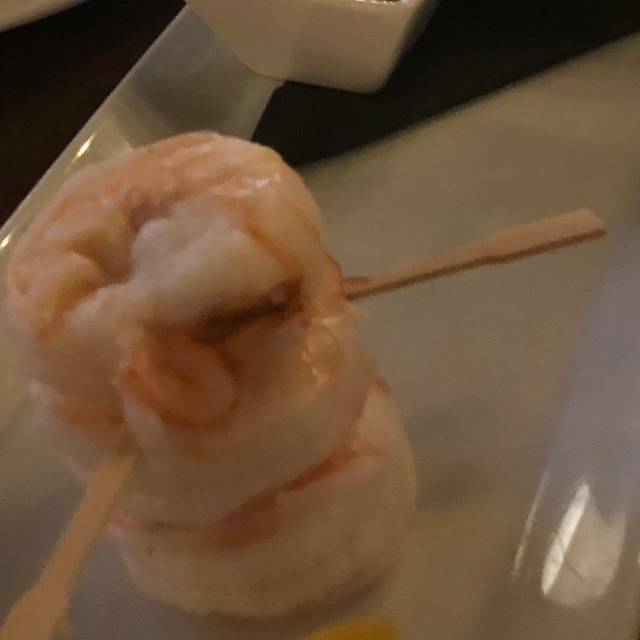 The appetizers were unremarkable. Our party of 4 ordered 2 steaks (which were insanely salty, yet cooked to perfection), a rack of lamb, and Frenched chicken. The portions of the last two were strange - 6 lamb chops on the rack (huge portion that tasted fine), and only a thigh for the chicken dish. Both were $100! A chicken thigh for $100 is ridiculous. The meal wasn't terrible, nor was it terribly great. Overpriced and not one reason to go back again. I now know why that was the only place we could get reservations on NYE. I do want to mention that our server was great and very attentive, and the ambiance was nice. They were also very nice and exceptionally accommodating of late additions to our group. Food was good but not hot, when you’re spending $200 your food should be hot! Service was great! Bar got crowded after 9pm was surprised because it was Christmas Eve, so definitely is a bar crowd kind of place. Overall would not go again. Bartender was not very friendly and food was just okay as it came out a bit cold. wife and i have enjoyed this restaurant a few times and have not been disappointed. steak is like butter. hardly need a knife. we'll be back for sure for that special meal. Prices are high, the food tasted good and the presentation was good. The portions are small for the prices but tasted good. 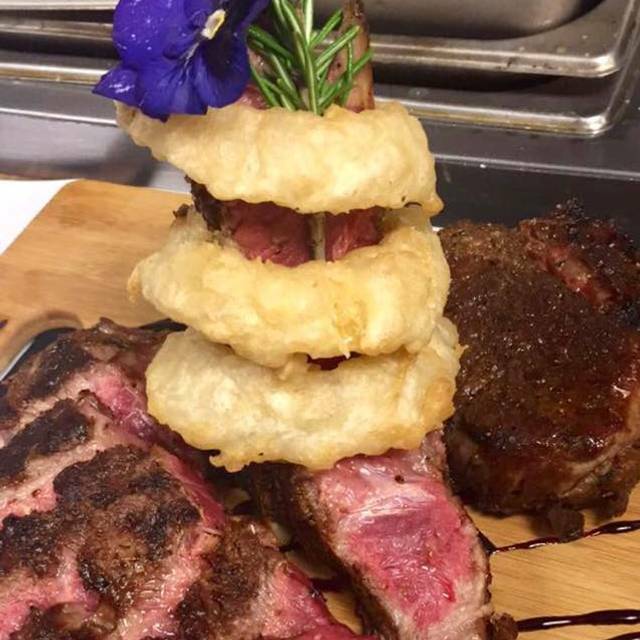 We got the 32oz Tomahawk Steak with onion rings and mashed potatoes which says it is for 2.... 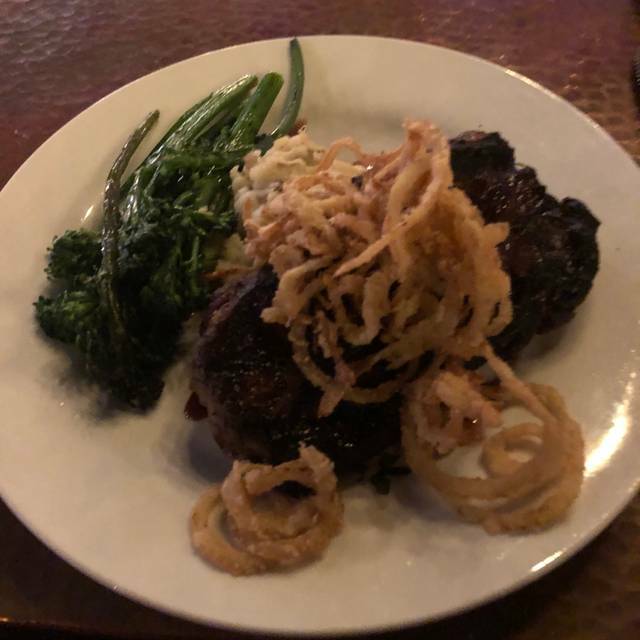 I wouldn't say it is for 2 because the portions were small (32 oz steak included the bone weight which was huge and ended being a small portion of meat, there was 4 onion rings from a large to medium size for decoration and a scoop of mashed potatoes), I would say it is more for one. The Tomahawk steak was amazing but we did end up having to stop for more food on the way home because we both were still hungry. The ambiance was nice. It wasn't too dark or too loud when we went on a Saturday around 6pm. It was clean and our server was very pleasant. This place is NOT for a quiet dinner out! Service, just to get someone's attention when you walk in the door took 10 minutes. Crazy kids (must be staying at the hotel) running around... They do not have a dress code so if you just got off your bulldozer, no problem! Come on in! Definitely did not meet our expectations. We ordered the small charcuterie board for $20. It was deli slices of cheese (cheddar, provolone, & mozzarella) with some salami, prosciutto, and sausage, and some baby gherkins & olives. Not worth $20. They did not have the wine we requested. As an alternative, they offered a different bottle, but failed to mention it was twice the cost! It was a good thing I noticed before accepting it. My tuna dish was very raw, yet the piece of meat allowed for such a rare temperature. Unfortunately the entire dish was seasoned with an overwhelming amount of soy sauce, no other flavor came through. 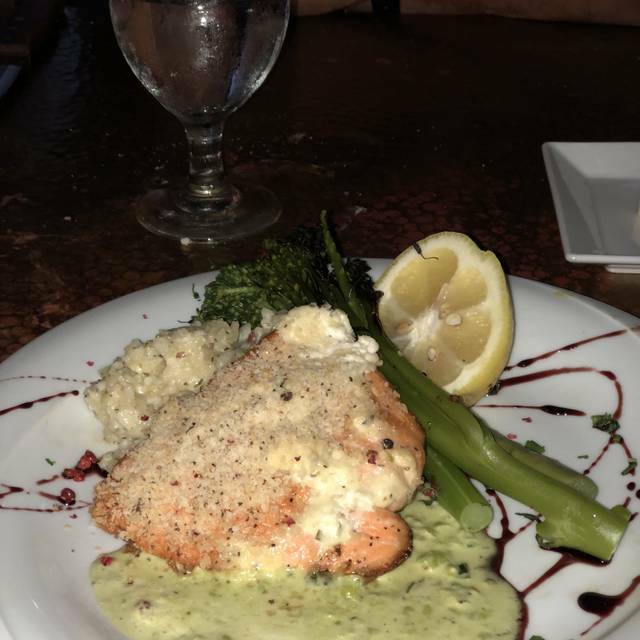 My husband salmon was overcooked, the risotto was undercooked, and the lobster crust had no lobster. Both dishes were plus the appetizer came to $90. The ambience was nice. It wasn't too dark or too loud. It was clean. Or server was very pleasant, yet unknowledgeable. We're chalking it up to being a new establishment. We may try again in a few months. Always awesome spending Thanksgiving with MTK Prime. I couldn’t get over their mushroom and sundried tomato pasta. Sooo good. Great place, great service, great time. Had the Thanksgiving Day Buffet with family and really enjoyed it. Food was excellent! Table service hit and miss but the bar service was amazing! Food was great as was the atmosphere! The bartender got everyone chatting which made it more fun and engaging. I would definitely go back. I expected much more because I heard good things! However, I thought the prices were high considering the steak was mediocre compared to other places. My sides were cold, It took forever to get bread and the waitor seemed to be ignoring us. I figured due to pricing it would be more elegant but it was not. Unfortunately I have no plans to go back. Atmosphere was fine food was just OK. Short ribs were very fatty would not come back for dinner again. Restaurant week Oct 20. We picked MTK for their menu. Everyone loved their food. Excellent choice. a little drafty at our table by the windows, otherwise a great evening. We were more than disappointed by this restaurant. To start the drinks were bad, how can you mess up soda & vodka with lime? The salad came it was beautiful but no salad dressing and the soup was cold. We asked for dressing but never received it. Dinner finally came out which was also cold & a medium steak I guess means raw. We were so very dissatisfied that none of us will ever go back. The only bright spot was our waiter who was fantastic & really tried to make our evening better but even a magician couldn’t have helped. We went here for restaurant week, thankfully. Will not be back again. We waited 20 minutes for a server to even acknowledge us. I understand being busy, but it would have been nice to been told that we would be taken care of shortly. I would never pay full price for the meals we got either. I ordered the NY Strip with a "bacon and blue cheese crust." This was something crumbled on top..it looks like bread crumbs mixed with a tiny bit of blu cheese. No bacon. The soup (lobster bisque) was good, but luke warm. We were very disappointed...but again, glad to have tried it during restaurant week before paying full price for a disappointing experience. I don’t care if it restaurant week or not...I should have to ask the hostess when the restaurant is not full if we are going to be waited on. The food was so so and he waiter forgot our side and it took a bit for it to come out. Not impressed at all, especially for what they charge...nothing special at all. We wanted to try someplace we have not been. It was Local Restaurant week. We ordered the oyster which were amazing. The lobster bisque was also amazing. For our entree we ordered the NY Strip steak. The steak did not look like a strip steak it was very tough and fatty, looked more like a filet. Service was below average. A couple came in and was seated next to us. They waited roughly ten minutes and no one come so they left. We definitely will not be going back or recommend. We never tried the food. After being seated, and given menus, we sat for around 25 minutes without anybody coming over to the table to take our order, or even give us water. As we were both hungry, we got up and left. Doubt anybody even noticed. This was the second time I have had dinner at this restaurant. The first time, there was a Jazz band playing wonderfully, food and ambiance Are great. A little wait for the food, but it's not a complaint! Gives you time to enjoy the atmosphere and Companion. Amy was a great host and provided excellent service. The food was well prepared and presented. I would recommend MTK Prime to anyone looking for a great time. Okay but nothing made us want to return again. Service was terrible. It took 30 minutes for someone to take our drink order. No waiters around. Always in the back. No one checked to see if we needed anything. Hostess stepped in to try and take care of our needs. Mtk Prime is a beautiful space, located inside Wyndham Garden Hotel. Upon arriving we were greeted by the hostess and was seated promptly. I don't think the few smaller tables, in the area we sat at are regular settings. Reason why I say that is, you are sandwich between the bar on one side and larger tables on your other side. Then there were others walked by bumping into our table while leaving and coming into the restaurant. At this time waitress took our drink orders, and was gone for 15mins. When she returned with the drinks she did apologize for the long wait. She then took our dinner orders. My wife made a good point, if a business participates in a event like this. They should be prepared with proper staffing. After waiting another 15mins, our salad and lobster bisque soup arrives. Another 15mins after we finished our soup/salad. Hopefully they straighten that out and it's not a regular issue. Rasberry Martini- if you ever had ghetto style Kool aid. Then you know what I mean, when I say it was super sweet. It was as if, they poured nothing but raspberry flavored syrup into your drink and left no room for the alcohol. Irish Manhattan- was ok, not a fan of the black button whiskey they use. To me the flavor seemed a bit off. Salad- ok..just would ask for the dressing on the side. I feel they had a little bit to much in my salad. Lobster bisque- remember the long wait times? I had to stir my soup because it sat so long in the back, that it had a crust over the top. Also the lobster was tough and the bisque was very salty to my taste. Salmon dinner- salmon was good. I would suggest though, changing the sides that came with it. If you had a salad in your first course. You don't want another one with rasberry sauce on the bottom of your salmon. I suggest, whipped parsnips with small diced sweet potatoes, with a bourbon glaze. Short beef rib- good..but would've liked a very light BBQ sauce braised into the meat. Beautiful ambiance. Delicious entree. Braised beef was succulent! Went for restaurant week, probably wouldn't go back. When I ordered the mixed greens salad, neither the menu nor the server described it as anything else. I wasn't happy to find it full of blue cheese, raw onions and wrapped in cucumbers. While the short ribs were very good, the truffle mashed potatoes and carrots were bland and lukewarm. The noise level also made it difficult to hear our conversation. I will say that our server was attentive and polite.